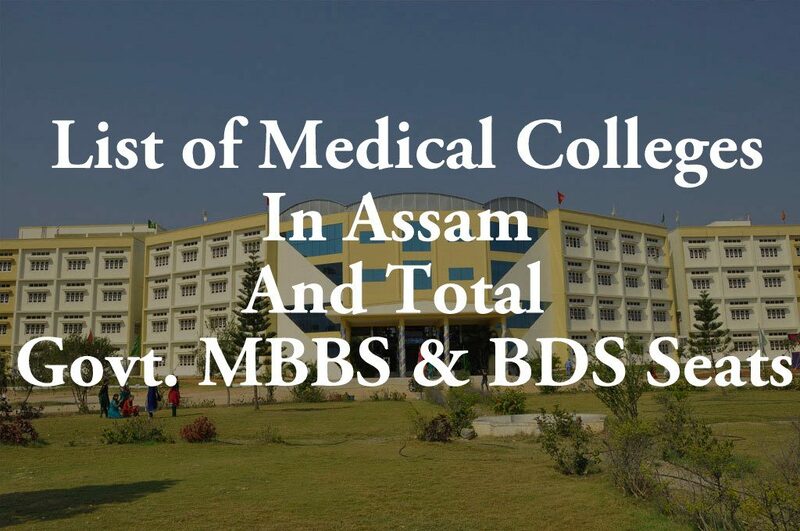 List of Medical Colleges In Assam: In this article, we have listed all Government and private Medical colleges in Assam state. In Assam state, All govt. and privates MBBS & BDS courses seats will be filled through the National Eligibility Entrance Test (NEET) 2018. The Medical Counseling Committee (MCC) will publish the NEET UG 2018 Counseling Procedure, dates, and documents required for verification on their official website. Candidates can get more info about NEET Counseling Schedule 2018 from the below link. This year, NEET UG Exam will be conducted on 6th May 2018 at various examination centres across the country. According to the report, more than one million candidates have filled the online application form this year. The Central Board of Secondary Education will conduct the exam and announce the result & merit list for the last time. From next year, National Testing Agency (NATA) will conduct NEET UG entrance exam and some other major exams that were used to conduct by CBSE. Assam Medial College, Dibrugarh Dibrugarh University Govt. 1947 170 Recognized Provided 3 months’ time to rectify deficiencies. Jorhat Medical College & Hospital, Jorhat Srimanta Shankardeva University of Health Sciences Govt. 2010 100 Permitted for renewal of permission for the year 2012-13. We have no Idea. Sorry! Sir I got 164 marks from sc category kya mujhe college mil sakta hai.